If you are looking at visiting Hard Days Night Hotel to conduct a Hotel Media Visit please email reservations@harddaysnighthotel.com in the first instance with your requested date. On 22, August 2018, world-renowned Beatles artist, Shannon Macdonald, hosted a ribbon cutting ceremony at Hard Day’s Night unveiling the hotel’s newest wall of fame member, celebrity astrologer, Jackie Stallone. Kickstarting International Beatles Week (22-28 August), Shannon presented the hotel with a photograph of Jackie Stallone alongside her favourite Beatles Album. General Manager, Stephen Rycroft, also said “We’re extremely delighted to welcome the iconic Jackie Stallone to our album wall of fame, which marks not only International Beatles Week but also commemorates our hotel’s 10-year anniversary. We couldn’t imagine a better person to present us with this gift than our dear friend Shannon, who was so influential in bringing the concept of a Beatles-inspired hotel to life 10 years ago”. On Thursday 26th July, Hard Days Night Hotel welcomed Sir Paul McCartney’s band and entourage to the hotel after the famous Beatle played a secret gig for over 100 lucky fans at The Cavern Club. Following the announcement of the gig via Sir Paul’s twitter account, fans took to the streets of Liverpool and queued from the early hours of the morning in the hope of seeing him perform songs from his new album alongside much-loved Beatles classics in the iconic Cavern Club. 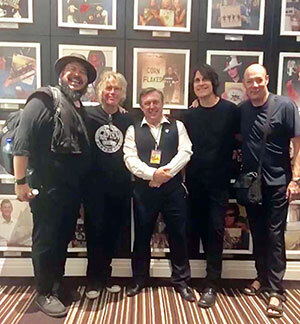 Pictured centre is Stephen Rycroft - General Manager of Hard Days Night Hotel with Sir Paul McCartney's band at Hard Days Night Hotel. Help us secure the future of the iconic Strawberry Field site by joining our 'Strawberry Field Buy a Brick' fundraising campaign. There is a limited edition of 2,500 bricks, which will be released in 5 batches. Each brick is individually numbered which comes complete with a certificate of authentication. Strawberry Field holds a special place in the history of The Beatles, with John Lennon's experiences in and around the children's home providing inspiration for the unforgettable song, 'Strawberry Fields Forever'. Julia Baird, John Lennon's sister and Hon President of the Strawberry Field project says "I am sure that all Beatles fans will find a way to support this significant project that will bring hope to so many young adults with learning disabilities. With Fathers' Day coming soon, what better present could there be for lovers of Strawberry Fields Forever!" John grew up with his aunt Mimi just a stone's throw away from the site, he used to jump over the wall to play and regularly joined the children during the annual Garden Party and was said to find peace and refuge in the grounds. 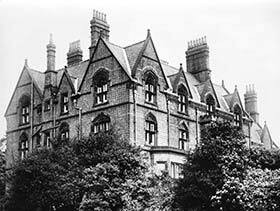 The large Victorian mansion was the centre piece of the estate, then sadly it was demolished in the 1970s but during the development work for the new plans, we have managed to salvage a number of original bricks. Owners of this last piece of Beatles heritage in Liverpool, The Salvation Army, have ambitious plans to redevelop the site. The new vision for Strawberry Field will weave together educational, cultural, heritage and spiritual exploration in one bold, imaginative plan. To own a piece of Strawberry Field is a special gift for the Beatles fan in your life. If you are scratching your head wondering what gift to get this year for your Dad, then look no further! But hurry we are now taking advance orders to be delivered in time for Father's Day on 17 June 2018. Bricks are priced at £75 per brick; orders are limited to 4 bricks per customer. Also on offer is the opportunity to purchase a 'Bundle' package which includes a brick, a t-shirt and a mug all for the great price of £95. The first release is available for pre order now simply go to store.strawberryfieldliverpool.com to secure this special piece of memorabilia. You can also purchase a range of exclusive merchandise that will also support the fundraising campaign to help us open the famous red gates to the public for the very first time. "Help us bring Strawberry Field back to life again, we have big plans and we need your support to achieve them. We have had amazing support and encouragement from Beatles fans and the Beatles Industry Group in the City, we hope this opportunity to be part of the past and future of Strawberry Field will appeal to fans around the word." Frank Ifield gave The Beatles a big break in the sixties and he is returning to Liverpool in June to share intimate details of those heady days at an exclusive dinner in the city's four star Hard Day's Night Hotel. The singer was the first UK based artist to have three consecutive number one hits and was approached in his dressing room at the Liverpool Empire by Brian Epstein who asked if his new band, The Beatles, could support him on tour. Frank agreed but ended up having to tell the band to turn their amps down – they were far too loud, he said. He will be remembering this and many other intimate details of the huge stars he has worked with over the years. He will also be telling exclusive stories that cannot be told in his theatre shows as they might be deemed a bit too racy for a general audience. A limited number of tickets are available for a drinks reception and three-course dinner with Frank in the hotel's private dining room on June 5. There will be a chance for guests to ask the star questions and have their photograph taken with him. The evening will be raising money for the hotel’s adopted charity – the Strawberry Field Appeal www.strawberryfieldliverpool.com. Millennium Hotels and Resorts hotel, Hard Days Night Hotel Liverpool, is delighted to announce the appointment of Stephen Rycroft as General Manager. 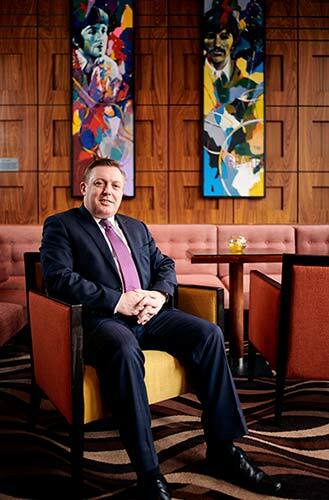 Rycroft joins Hard Days Night Hotel with over 20 years of hospitality experience having previously worked for De Vere Group and Hilton Hotels & Resorts where he was awarded Hilton General Manager of the Year in 2013 and the Vice President special recognition award for commercial focus in 2014. New to the Liverpool-based hotel but not to the Millennium Hotels and Resorts family, Rycroft joins the team from Copthorne Hotel Merry Hill-Dudley where he was General Manager. As a manager, Rycroft is results orientated and a firm believer in achieving results as a team. He is focused on helping others to accomplish their own career aspirations. In his new role at Hard Days Night Hotel, Rycroft will be spearheading celebrations and packages centred around the hotel’s 10th anniversary and 10 years since Liverpool was named Capital of Culture; allowing guests to explore Liverpool in a new and exciting way. In addition to this, he will using his extensive hospitality experience to rework the menus in Blakes Restaurant to incorporate even more Beatles-inspired dishes and position the restaurant as a destination in its own right. Furthermore, Rycroft and the Hard Days Night Hotel team will be working closely with The Salvation Army over the next two years in order to raise funds and help establish Strawberry Field as a sustainable centre of employment for young people with learning disabilities offering training, skills and work placements that provide real employment prospects. Once a home for the city’s vulnerable children and a spot where John Lennon used to play, the charity hopes to see Strawberry Field open its gates to the public for the first time with an exhibition centred around the home and why the famous Beatles song was written. LIVERPOOL, UK, TUESDAY MAY 8TH, 2018 - John Lennon’s sister, Julia Baird, has accepted an invitation by The Salvation Army to become Honorary President of The Strawberry Field project to bring the legend of Strawberry Field back to life once more. Strawberry Field, the iconic site immortalised in Lennon’s song and the Beatles hit, ‘Strawberry Fields Forever’, is being redeveloped which will see the famous red gates open to the public for the first time in summer 2019. 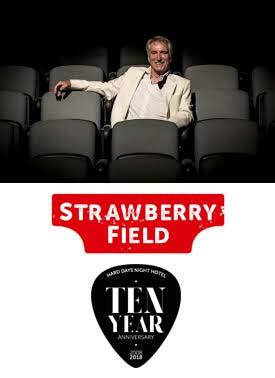 To mark this special occasion, Julia has been interviewed in a series of short films exclusively available at www.strawberryfieldliverpool.com, where she fondly recalls memories of when John joined local kids to play in the shadow of the old Victorian House in the grounds of Strawberry Field. "I’m privileged to be invited to join this unique project, it’s a brilliant idea. Just like the Beatles springing from the stage of the Cavern Club, it’s a wonderful idea that The Salvation Army is going to cultivate youngsters in the precious soil of Strawberry Field, for them to be nurtured to reach their full potential, where they will have the chance of work all around Liverpool." The revival of the site, treasured by John as he grew up on Menlove Avenue, will include a training and work placement hub for young people with learning disabilities; a new authentic exhibition on the place, the song and John Lennon’s early life around Strawberry Field; and the development of a haven for spiritual exploration around the peaceful and tranquil grounds. "This is a pivotal day in the life of our project. To have a connection with John in his early life and the opportunity to work alongside Julia to cast the vision of the new Strawberry Field is a rich blessing. We are absolutely delighted that Julia has come on-board to help us raise the profile of Strawberry Field to the wider public and Beatles fans across the world. When we met I was impressed by Julia’s genuine understanding of the young people we are aiming to work with and her energy to help us achieve this vision." 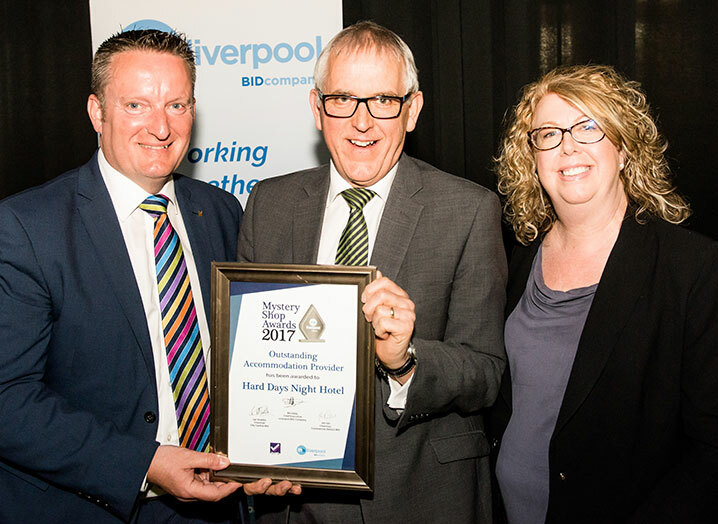 After impressing a mystery shop from the Liverpool BID company, Liverpool’s Hard Days Night Hotel scored 100% in the 2017 mystery shop awards. The popular Beatles-inspired hotel located on North John Street, scored top marks in each category for: venue appearance, staff image, initial contact, service, sales, overall impression and local knowledge resulting in the award for ‘Outstanding Accommodation Provider 2017’. General Manager Stephen Fearnley said: “It is great to have received this achievement in the mystery shop awards, the team and I are truly delighted. As a luxury accommodation provider we are , and always have been completely customer focused in ensuring that all our guests leave Hard Days Night Hotel having experienced the very best that we can deliver. Our team members are trained and encouraged to go above and beyond daily to deliver bespoke guest experiences, to anticipate guest needs in a sincere and friendly manner. Liverpool BID Company, which represents 1,500 businesses in Liverpool city centre, mystery shopped 200 establishments to find out who is and who isn’t looking after its customers. “Firstly, let me congratulate Hard Days Night Hotel which scored so highly in the mystery shop. Today’s customers expect the very best and they are getting that in Liverpool." Now in its eighth year, the Mystery Shop Awards celebrates those businesses that demonstrate excellent customer service in the two districts delivered by Liverpool BID Company - City Central (retail and leisure area) and Commercial District. In 2017 - 19 businesses scored 100% (17 in 2016) - and 83 businesses scored 90%+ (78 in 2016). As a result of its reputation for delivering quality customer service, Hard Days Night Hotel has received the prestigious ‘TripAdvisor Certificate of Excellence’ for five consecutive years, and is recognised in the top ten percent of businesses listed on the travel site. Located on North John Street, Hard Days Night Hotel became Millennium Hotels & Resorts’ 24th property within Europe in August 2015. The ‘Fab Four’-star hotel situated within close proximity to the world famous Cavern Club, where The Beatles performed more than 290 times, boasts 110 guest rooms and is renowned for its impressive interior and originality. Iconic pop artist Sir Peter Blake honoured by the City of Liverpool. Sir Peter, one of the major figures of British pop art who famously created the album cover for The Beatles’ Sgt. Pepper album, was made a Citizen of Honour on Sunday. Sir Peter received Liverpool's Citizen of Honour at a VIP event by Liverpool Biennial at Blakes Restaurant within Hard Days Night Hotel, on the day he was in the city to celebrate the two-year extension of Everybody Razzle Dazzle, his iconic artwork for the Mersey Ferry Snowdrop. More than 30 guests gathered at the artist’s namesake Blakes Restaurant, located in the heart of the award-winning hotel. Sir Peter Blake said: “I'm delighted to be given the Citizen of Honour Award. As well as my music links with the city, I'm proud of my association with Liverpool Biennial and Tate Liverpool and hope to continue my relationship with the city. “I treasure the warmth and good humour of the people of Liverpool and hope they will accept me as an 'Honorary Scouser'." After wowing tourists and guests from across the globe, Hard Days Night Hotel has been named UK’s Best Travel Republic Hotel 2017 and top 20 ‘Best in Destination’ for 2017. Located in the heart of Liverpool’s Beatles quarter and Liverpool’s commercial district, the highly acclaimed Beatles inspired hotel continues its triumph in being awarded ‘Best In Destination’ by the site. Travel Republic works with over 300,000 hotels ranging from boutique hotels to large resorts, and over 600 of these receive an award, with a further 20 hotels receiving the prestigious ‘Best in Destination’ for their region. The admired accolade, which honors hospitality excellence, was obtained through countless travellers’ reviews that praised the hotel’s amenities and persistence in delivering a first class customer service ethos. Hard Days Night Hotel has welcomed a very special guest to its ‘Fab Four’ inspired venue. Acclaimed Beatles artist Klaus Voormann, who famously designed the cover of The Beatles’ Revolver album, visited the hotel to mark the 50th anniversary of the award-winning record’s release. Located in the heart of the Beatles quarter, Hard Days Night Hotel is home to numerous artefacts and memorabilia celebrating the world-renowned band, including exclusive artwork by Voormann himself. General Manager of Hard Days Night Hotel Mike Dewey said: “We were honoured to welcome Klaus Voormann to our venue to mark 50 years since the release of the Revolver album, which won the artist a Grammy Award for ‘Best Album Cover’ as many avid fans will know. Here at the hotel, our walls are adorned by a number of Klaus Voormann’s artworks so it was certainly fitting for him to visit us. 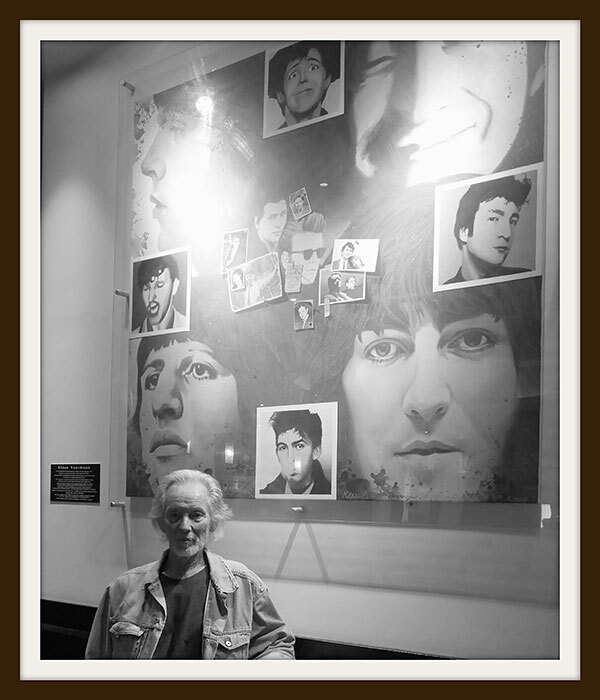 Klaus Voormann’s visit to the hotel took place as part of this year’s International Beatleweek celebrations, which is organised by The Cavern and returned to Liverpool in August 2016 for its 30th year. The festival typically attracts around 10,000 visitors annually. Director of The Cavern Bill Heckle said: “The line-up this year was incredibly special. With a lot of 50th anniversaries to celebrate we tried to give a nod to as many as we could with special shows and tributes. Hard Days Night Hotel has named the Royal Liverpool and Broadgreen University Hospitals NHS Trust’s R Charity as its chosen charity of the year. R Charity, which is currently fundraising on behalf of Merseyside’s largest hospital, aims to raise £10 million towards the redevelopment of the site. In hopes of aiding the charity, the award-winning Beatles inspired hotel, which was acquired by global travel giant Millennium Hotels & Resorts last summer, will offer its support to the initiative ahead of the new hospital’s opening in 2017. Senior Vice President Operations for Millennium Hotels & Resorts in Europe, Clive Harrington said: “After meeting with the redevelopment staff at the Royal Liverpool University Hospital, we were instantly impressed by the plans for the upcoming overhaul of the site and its landmark £335 million redevelopment. The team at the hotel are thrilled to assist the work of R Charity ahead of the new hospital's opening; their collective efforts will help aid R Charity to provide comfort and the very best care to patients in the hospital. 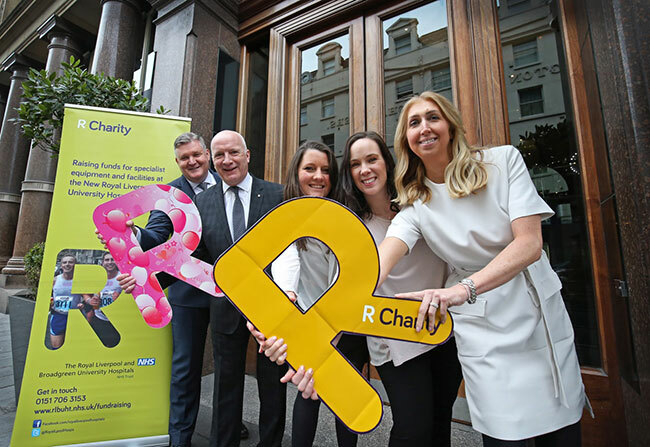 R Charity aims to ensure that the redevelopment of the hospital goes beyond even the NHS promise of care by investing in the latest high-technology equipment for diagnosis and treatment, together with offering comforts and conveniences for both patients and families. The new hospital will be built next to the existing site and will house 646 beds with a 40-bed Critical Care Unit, 18 operating theatres and one of the North West’s largest emergency departments. Millennium Hotels & Resorts welcomed Sir Peter Blake to Hard Days Night Hotel for Liverpool Biennial’s launch of Dazzle, 2016, a limited edition silkscreen print created by the artist. More than 70 guests gathered at the artist’s namesake Blakes Restaurant, located in the heart of the award-winning hotel which was acquired by the global travel giant last summer, to witness the unveiling of his limited edition print. Sir Peter Blake is internationally renowned for his famous works including the design of The Beatles’ iconic Sgt. Pepper’s Lonely Hearts Club Band album cover in 1967. The latest in a series of limited editions by artists who have worked with Liverpool Biennial, Dazzle, 2016 relates to Blake’s 2015 commission, Everybody Razzle Dazzle, for which he transformed the Mersey Ferry Snowdrop into a moving artwork. It features a number of symbols that regularly appear in Blake's art: a star, a target and a rainbow. Hard Days Night Hotel has added to its ever-expanding trophy cabinet having been crowned ‘Luxury Grand Hotel of the Year’. Following its acquisition by Millennium Hotels & Resorts in August of last year, the Beatles inspired hotel was selected by the Luxury Travel Guide Awards due to its outstanding reputation, premium amenities and high standards of customer service. General Manager of Hard Days Night Hotel Mike Dewey said: “We are thrilled to have received this prestigious accolade from the Luxury Travel Guide Awards and built on our global acclaim. It is all the more rewarding as it follows the hotel’s welcome into the Millennium Hotels & Resorts international family. In 2015, the hotel achieved ‘Top Rated’ status in the LateRooms.com ‘Simply The Guest Awards’ and received a TripAdvisor ‘Certificate of Excellence’ for the fourth consecutive year. Following the acquisition by Millennium Hotels & Resorts on August 19 2015, whereby the venue became the hotel group’s 24th property located within the UK and Europe, the ‘Fab Four’-star venue was also named ‘Hotel of the Year’ in the Work Hard, Play Hard Awards. Mike added: “Liverpool is certainly a destination of choice for worldwide leisure and corporate travellers, and to be recognised as a leading place to stay within the city is fantastic. The hotel itself reflects Liverpool’s famous cultural and historic ties to The Beatles, an element that continues to attract and entice guests from across the globe.